Trying to set Google Messeges as the default app, but an error keeps appearing " for sending SMS text there's no prefered SIM selected". I can't send any text messege ! But it works with any other messeging app. Any advice ?? Hello guys can anyone tell me what to do to have a gallery app on the phone as the old HTC models as it only uses google pictures :( which is not as good as the gallery app. Can anyone plz help ? Anonymous, 15 Mar 2019Only see your negative feedbacks on HTC although you say that yo... moreNo one care what fan he or anyone is, as long as what's being said is totally correct and unbiased. So FO. Anonymous, 15 Mar 2019Only see your negative feedbacks on HTC although you say that yo... moreTrue fan! 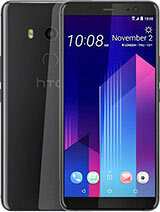 Mr Grey, 26 Dec 2018Htc don't give a damn about this phone and I highly doubt it wil... moreOnly see your negative feedbacks on HTC although you say that you owned HTC U11+. Ha ha. No, man, you are not HTC fan with those comments. You are Sam fan with reasons here. In Turkey, Pie updating. Finally! Will they upgrade this to Android 9? Anonymous, 17 Feb 2019Which one is better for the same price htc u11 plus or galaxy no... moreFor performance and battery u11 plus for camera note fe! Which one is better for the same price htc u11 plus or galaxy note fe? Anonymous, 06 Feb 2019Which one has better front camera u11 plus or galaxy s9I have a U11 plus and also a s9 plus and my s9 plus is superior in every way and yeah it's expensive but you pay for what you get and the U11 plus will hardly be supported by HTC whereas my s9 plus has constant updates and I find the UI to be superior on my s9 plus anyways and the HTC seems old and outdated to be fair. I personally would say stay away from HTC there a dieing company and get a s9 cos its simply superior. Anonymous, 06 Feb 2019Which one has better front camera u11 plus or galaxy s9S9 obviously has a better front camera for a few reasons. First, it has auto focus. Second, it has a wider lens and lastly, it can record 2K video. But at the same time, the S9 and U11+ are much different in price. At current prices locally, I can -almost- buy TWO U11+ for the price of an S9. Does the front camera take good selfies?